Tim Clark, who writes a-n's fortnightly PICTURED column, provides a rundown of the ten visually rich art books that have piqued his curiosity during 2013. 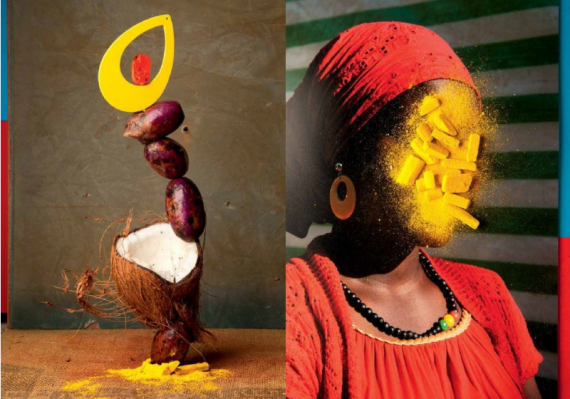 In the end, it wasn’t Lorenzo Vitturi’s A Dalston Anatomy – with its vibrant and kaleidoscopic take on London’s Ridley Road Market – that scooped the prestigious Paris Photo-Aperture Foundation First Photobook Award, but Oscar Munzon’s Karma. Yet Vitturi’s publication is the one that has really got everybody talking. Incorporating sculpture, performance and photography, this beautifully designed, tautly-edited book is at once a heady mix of the abstract and the figurative, reality and illusion, and a resonant testimony to the market’s organic and temporary nature. Read more here. 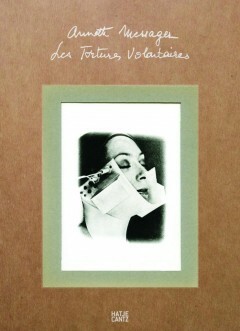 One of France’s leading artists, Annette Messager first embarked on collecting and scrutinising images from magazines in the early 1970s, bringing them together in her pioneering body of work, Les Tortures Volontaires, a series of black and white photographs portraying women undergoing a whole gamut of cosmetic procedures. Electrostimulation of thighs, face peelings, breasts wedged into suction pads and far fetched forms of plastic surgery are as bizarre as they are disturbing, but it’s Messager’s critical eye that emerges as she deflates societal conceptions of beauty photograph by photograph with her dark, often surreal, humour. Recently rediscovered, kudos to Hatje Cantz for enabling the first-ever publication of these images in this handsome, slip-cased volume. A revealing and mordant book that opens the lid on the operations of the former East German secret police, Simon Menner manages to draw attention to the agency’s surveillance work by re-presenting archive images. Photographs of personnel being taught the art of disguise – in an attempt to pass themselves off as Western tourists – are ruefully comic, while Polaroids taken as part of clandestine house searches and used to ensure everything was left as originally found, are eerie if not extraordinary. Menace and paranoia all but leap off the page in what is essentially a professional manual for prospective Stasi agents of a bygone era. Read more here. What this self-published zine lacks in physical presence it more than makes up for in conceptual punch. Devastating as it is beautiful, Eric Stephanian’s LUCAS comprises just one black and white photograph of the artist’s son, taken on the only opportunity he was given to meet him. Beginning with a close-up of the boy’s face, each page proceeds to zoom out, gradually forcing the photographic subject to fade into the distance, keeping him at bay from his father and thus pulling him away from the viewer. Empathy, loss, desire, yearning, order from disorder – it wrestles with all these uncertainties. This is photography with real people attached. Fascinated by the idea that photography can be a vehicle for exploring the ‘architecture of his childhood’, Todd Hido once again sets out down the street that runs through his neighbourhood in Kent, Ohio where the artist grew up. Cinematic and highly-charged with a bitter-sweet intensity, Excerpts from Silver Meadows continues Hido’s trip from the innocence of childhood to the darker side of what prevails in his own adult universe. Effortlessly blending portraits, interiors and brooding landscapes as well as appropriated images, it’s an intricate and complex tapestry that tells Hido’s own story while employing the power of suggestion to impressive effect. With lavish production values (the book is printed on matt Japanese paper with tipped-in images on the case binding), this oversized but elegant book marks Hido’s sixth monograph to date with the esteemed publisher, Nazraeli Press. The result of salvaging more than 500,000 negatives from an illegal recycling site on the outskirts of Beijing, Thomas Sauvin’s contemporary masterpiece, a collection of five beautifully bound albums, offers a truly unique glimpse of China in the wake of the Cultural Revolution. Spanning a period of 20 years, the photographs are a litany of ‘ordinary’ people partying, travelling or even posing next to their TVs and fridges – in short, opening up to the world and assuming the guise of modernity. Through his intervention, Sauvin has not only rescued a corpus of vernacular photography from oblivion but produced a hugely significant, complex, and most crucially, unassuming project. A catalogue of the Orient minus the orientalism. Part of a series of handmade booklets from AKINA, entitled Eclisse, which ‘follows the development of a society which has been replaced by its representation’, Hutinski’s book guides us through images of his home town of Celje, Slovenia, achieving a welcome act of remembrance and resurrection. Inhabitants come and go like apparitions, teetering on the threshold of visibility like half-registered memories, blurred and milky, to form a lyrical study of the place and the photographer’s subjective relationship to it. ATAVISM is a rare gem of a book in which every element from its size, hand-made binding and occasional use of semi-translucent paper stock work in perfect unison to establish meaning. The result is a delicate and tactile viewing experience that conjures up a sense of recollection as experience dissolving into history. It could not have been done better. Here it is, film maker Pedro Costa’s private scrapbook compiled during the course of producing his film Casa de Lava in Cape Verde in 1994. A smogasboard of newspaper clippings, paintings, letters, postcards, film stills and extracts of dialogue, what started out as research and production notes gradually developed into an autonomous object in itself, something more akin to a mood board of aesthetic sensations. It neither offers commentary or critique of the film but rather has its own time and space, building a compelling, flowing picture of Costa’s creative quandaries whilst shooting, only to stop suddenly with seven untouched pages. Known for meditative and poetic photographs showing the minutiae of life – people, animals, life and death – Rinko Kawauchi’s work is loaded with cryptic significance and sensory interconnection. 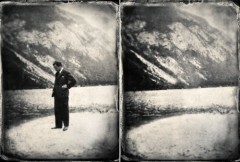 Sheets, the latest release from Kominek Books, showcases a reworking and reediting of the photographer’s film strips. In doing so, it enhances our understanding of her masterful ability to pair and sequence images and eek out subtle narrative patterns. An unusual monograph, of course, but all the more welcome for it. Ten years after the publication of the seminal Ghetto, which saw Adam Broomberg and Oliver Chanarin document sealed-off communities – from maximum security prisons in South Africa to a refugee camp in Tanzania – the London-based artist duo have now brought us its by-product, Scarti. Meaning ‘scraps’ in Italian, the book is made of reclaimed paper that was orginally fed through the printing press to clean the drums of ink between print runs. On these pages, the original images miraculously coexist thanks to the sacred geometry of chance, revealing striking combinations and suggesting new readings and interpretations. Another fantastic title from Trolley, the publishing house founded by the late great Gigi Giannuzzi. To catch up on all the books featured so far in the PICTURED series on visually rich art books, search using the pictured tag.